How to Recover Deleted Files from Flash Drive without Software? Data loss issue is unavoidable no matter how careful you are. This is because there are many factors that can lead to this issue. Fortunately, data recovery is usually possible. If your files got deleted from your flash drive, then don't panic; there are several ways to recover the deleted files without software. 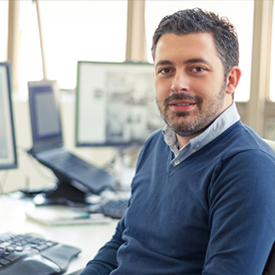 The methods mentioned in this article are available for Windows 10/8.1/8/7/XP. Part 1. How to Recover Deleted Files from Flash Drive without Software? Part 2. How to Recover Deleted Files from Flash Drive with Software? 1How to Recover Deleted Files from Flash Drive without Software? Recovering deleted data from a flash drive is possible, even without a software. For this, you will need to use Command Prompt. Although it's not guaranteed that you will recover all deleted files via this method, it is still worth a try. Step 1. Connect your flash drive to your PC. Press Win + R keys to launch the Run program. Step 2. Then type cmd and click on OK. Step 3. Type this command in the window: ATTRIB -H -R -S /S /D H:*. * (H here is the drive letter of the flash drive). Once you have entered the above command, Windows will attempt to recover your files. You can look for them in your flash dive after the process is complete. "Restore previous versions" is a useful feature of Windows that allows you to recover your deleted files from flash drive without software (if the feature was enabled at the time of deletion). Step 1. 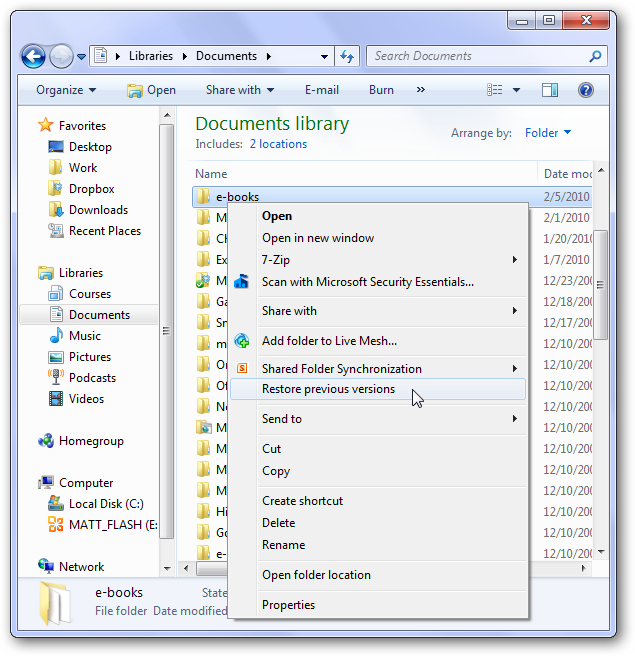 Connect your flash drive to your PC and navigate to the folder on it where your files were stored before deletion. Step 2. Right-click on that folder and select "Restore previous versions" option. Some options to recover the folder will appear. Step 3. Select the folder versions. Then click on Restore button. 2How to Recover Deleted Files from Flash Drive with Software? If you are looking for a relatively faster and easier way to recover deleted files from your flash drive, then it is recommended that you use a data recovery software. iMyFone AnyRecover is the best choice in this regard. AnyRecover is a popular data recovery software that is capable of recovering all kinds of deleted files from any storage medium, including flash drives. Using this software to recover deleted files is faster and more efficient then the above-mentioned methods. AnyRecover is equipped with a unique data recovery algorithm that allows you to recover unlimited data. Recover deleted files for any storage mediums. Including internal and external hard drives, flash drives, memory cards, digital cameras, smartphones, and more. Recover deleted files successfully regardless of how they got deleted e.g. OS crash, hard disk failure, lost partition, virus attack, etc. Several advanced data recovery modes including Deleted Files Recovery, Formatted Disk Recovery, All-Round Recovery, etc. Step 1. 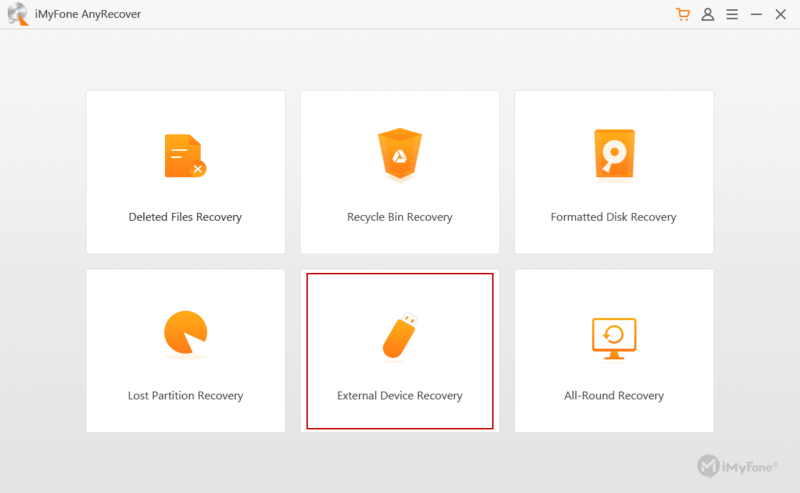 There are 6 recovery modes on AnyRecover, today, you'll need the External Device Recovery. Step 2. Then connect your flash drive, after is is recognized, select it. Step 3. Next, you'll be asked for choosing the file types before scanning. It supports over 1000 file formas. Step 4. Once the list of recoverable files appears, find your lost files and then start the recovery process by clicking the Recover button shown on the bottom-right corner. There are several factors that affect the success of your flash drive recovery. You should know about them and take certain precautions if you want to ensure successful data recovery. Stop using the flash drive as soon as you discover that your data has been lost/deleted. Don't format the flash drive as it decreases the chances of successful data recovery. Don't store new data as it overwrites the certain sectors of the flash drive that contain the deleted files. Don't try to repair bad sectors of the flash drive as it can destroy data stored on them and decrease or even completely eliminate the chances of file recovery. Getting your files accidentally deleted from your flash drive can be really annoying. Fortunately, it's very easy to recover deleted files from flash drive (without/with software). It is recommended that you first try iMyFone AnyRecover to recover your deleted files as it has a recovery rate of up to 98% and can save you a lot of time and hassle.